For today’s retailers, point of sale (POS) security is vital to business operations. Not only are retailers mandated by regulations issued from the Payment Card Industry (PCI) Security Standards Council, but a data breach most likely brings with it heavy fines and lost costumers. 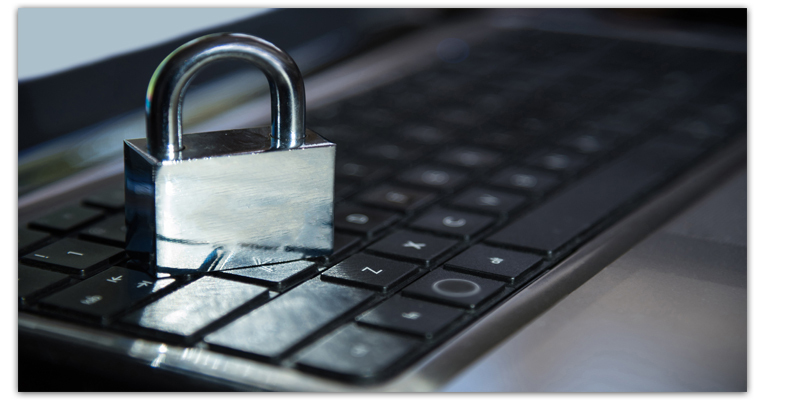 Additionally, hackers have increasingly turned to small and mid-size businesses as targets. It has never been more important for retailers to protect networks and sensitive data to reduce the risk of a data breach. When it comes to POS security, it’s important for retailers to perform a data audit in order to know what sensitive information is stored and accessed through business systems, including payment card information, personally identifiable information (PII), personal health information (PHI), and accounting information. Beyond that, retailers should understand how data, whether “at rest” or “in motion” is encrypted. Reputable vendors will be able to provide you with proper documentation and security certifications demonstrating encryption methods that are PCI compliant. It’s important to look internally at your own store policies and make sure you have measures in place to address the “human factor.” Limiting remote access for employees and requiring two-factor identification are two methods that will help tighten security measures. Auto-Star takes access to the next level with affordable biometrics. 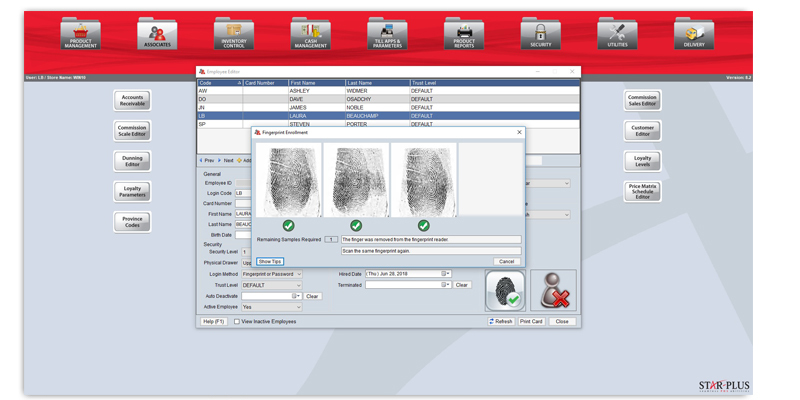 Our fingerprint sensor requires employees to log-in to the point of sale system using their fingerprint. This allows your business to eliminate the need for complex passwords, grant access to only specific features and data, prevent forgery, and maintain security compliance effectively and efficiently. 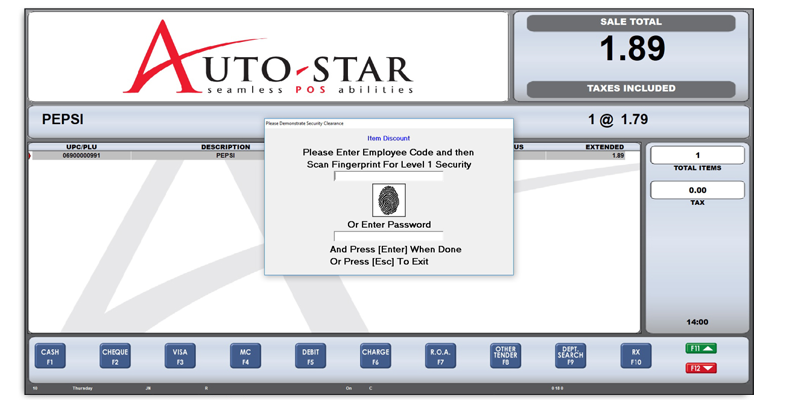 For more information, or to discuss options to enhance POS security for your business, contact Auto-Star.